Filing for bankruptcy is a big step toward regaining control of one’s finances, but for many people contemplating this decision, negative myths can delay taking action. Life is full of unanticipated and uncontrollable events that can derail a person’s financial security – major illness, serious accidents and long-term unemployment – to name just a few, and bankruptcy exists to help these individuals get out of this untenable situation and start over with a clean slate. Bankruptcy offers those overwhelmed with financial concerns the ability to find peace of mind again by allowing them the ability to have a fresh, debt-free start. However, before initiating the bankruptcy process it is important to dispel some myths about the process and repercussions so debtors have a better sense of what bankruptcy can and cannot do. Bankruptcy is specifically designed to leave debtors with a sufficient base to start over again, and in fact, the majority of Chapter 7 cases leave debtors with all the property they owned before the process began. Consumers generally petition for bankruptcy as either Chapter 7 (liquidation) or Chapter 13 (repayment plan) case. Chapter 7 petitions will discharge most, if not all, of a person’s debt and rarely requires the debtor pay or sell anything to satisfy creditor claims. But, it is only available if certain income restrictions are satisfied. Chapter 13, on the other hand, is a repayment plan spread over a number of years for those with regular income and the ability to repay some of the outstanding debt, or who primarily have debt that is not dischargeable under Chapter 7. Further, some portion of the remaining debt is discharged at the end of the repayment period, so a Chapter 13 debtor is not expected to completely pay off creditors. In either case, unless the debtor has multiple homes, luxury cars and the like, there is little chance he/she will lose property as part of the bankruptcy process. While a bankruptcy can stay on a person’s credit for seven to ten years, chances are, if a person is behind enough to consider bankruptcy, his/her credit rating has already taken a hit. Until recently, Equifax was the only credit reporting company to negatively flag Chapter 13 bankruptcy filers for 10 years. The other two reporting companies only flag the same reports for seven years. Further, once the bankruptcy process is complete, rebuilding credit can begin immediately, but if no action is taken to relieve the debt burden, the damage to a person’s credit will only get worse and be harder to fix. Some people receive credit card and loan offers before the bankruptcy process is over, but whether accepting these offers is a good idea will vary from person to person. 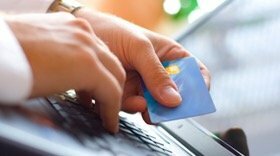 Obtaining a secured credit card to start rebuilding good credit may be a better place to start. From the outside, bankruptcy can appear like a very straightforward process that requires little technical experience. A lot of companies claim consumers can handle their own bankruptcy cases, and do not need the services of a lawyer. 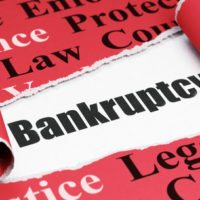 While all petitioners have the right to represent themselves in bankruptcy proceedings, these cases are so complicated, there is a court dedicated solely to handling them. Working with an attorney experienced in Chapter 7 and 13 bankruptcy cases can make a huge difference in the outcome of a bankruptcy, and directly influence the extent to which a debtor can discharge creditor claims. Given the importance of finances generally, choosing an attorney is not the place to cut corners. Do not go another day with overwhelming debt without exploring the option of bankruptcy. Bankruptcy offers the benefits and protections your family needs, and the attorneys at Goodblatt · Leo can help you use bankruptcy to regain control of your life. With over 35 years of experience in Chapter 7 and 13 bankruptcy cases, Goodblatt · Leo is available to evaluate your situation, and offer to you the best available legal options. Contact our Orlando law firm today to schedule a consultation.